Urgency to improve global health. 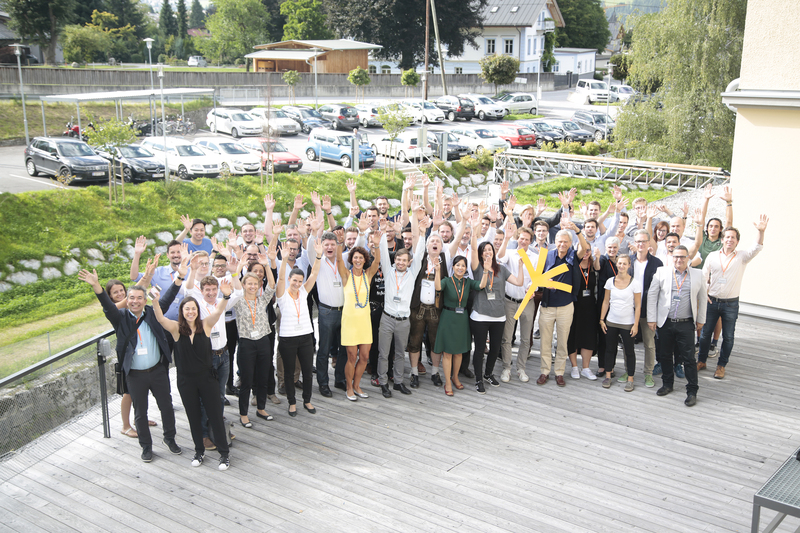 This was the over-riding mentoring need of life science entrepreneurs at the recent IECT Summer School on Entrepreneurship in the Austrian Tyrol. The life science delegates from Austria, Germany, Israel, Hong Kong, and the UK shared a strong commitment to deliver the best possible technology solutions to make the world healthier for us all. Founded in 2015 by Hermann Hauser in the UK and Josef Hauser in Austria, the IECT Summer School on Entrepreneurship brings experienced entrepreneurs from Cambridge and Austria to work with post-docs and PhD students with entrepreneurial spirit. The intensive one-week course delivers mind changing inspirational keynotes, practical workshops and mentoring on individuals’ businesses, all wrapped up with a challenging pitch at the end. The overall aim of the Summer School is to coach early-stage start-ups, students and researchers on how to assess the commercial viability of their research and projects and develop plans for new venture creation with global potential. In my mentoring group of four life science businesses, the projects ranged from using artificial intelligence to improve microscopy imaging, detecting the onset of asthma attacks, natural compounds to combat obesity and monitoring affective disorders. All the entrepreneurs were looking for the most productive way to bring their innovations to patients and their families. There were memorable conversations on how their technologies can improve the steps between diagnosis and disease and the patient. We delved into how expectations for better health are linked to the pace of adoption of technologies, the quest for personalisation of treatments is needs access to both national and global data and the interdependence of public economics in healthcare and private investment. We discussed what creates entrepreneurial ambition and makes it tick, understanding the complexities of markets and customers’ needs in healthcare and biotech, validation in the ecosystem and threading together technological, product and financial objectives. They showed huge resourcefulness and tenacity to carve their growth proposals to make a significant impact on health. I was very impressed with the deep thinking of the entrepreneurs. One of the delegates, Philipp Kainz of KML Vision, was selected to present at The Falling Walls Lab at The European Forum Alpbach Technology Symposium. I am very excited to hear developments from Uriel Klar of SmartAir, Marco So of HANDS and Manfred Weiss of meemo-tec. Best of luck to the Class of 2017 at the IECT Summer School on Entrepreneurship!